Euroluce is so big, and by far the most important event for decorative lighting, that it is a bellwether for the state of the industry, helped by the fact that it only takes place once every two years – it is easier to see trends over the longer timescale. So what were the trends this year? By the weekend, exhibitors were buoyant. After a quiet Tuesday, Wednesday to Friday had been exceptionally busy. Who with? Well, obviously not Europeans, thanks to the continuing destructive effect of the EU on their economies. No, it was the Russians who were back, supplemented by substantial contingents from the Far East and, to an unprecedented level, the Indians. To those of us who are involved in international luxury projects, this is fantastic news and is backed up by the levels of activity we have all seen since the beginning of the year. Most well-known lighting companies were created by a married couple or a small team of individuals. The brand is a direct reflection of who they are. Therefore we greet news that a brand has been sold with interest (and some trepidation). 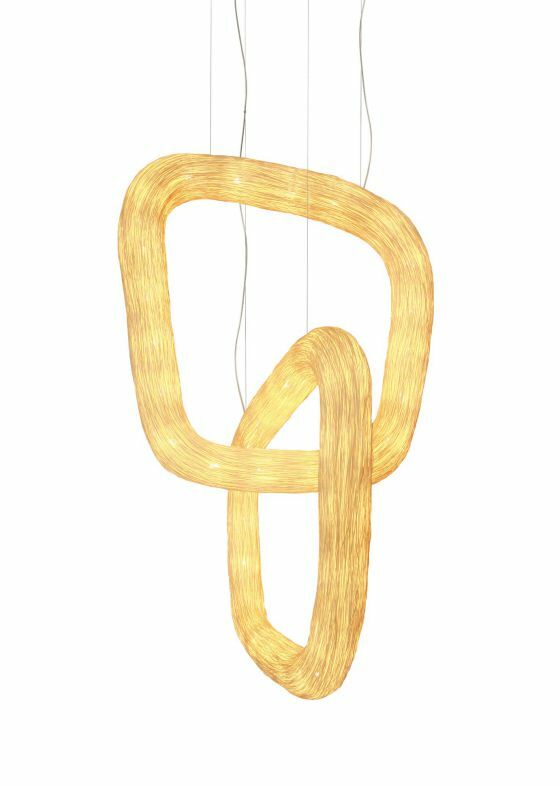 This year’s Euroluce was a chance to catch up with the stories behind the many recent changes of ownership, and to see what effect there has been on production. The most interesting change, because it is so subtle, is to Art et Floritude. Sophie and her husband are away enjoying the fruit of their labours. The stand looked superficially familiar from a distance but, close up, it is as if the designs have acquired a new depth, a clarity, an elegance…thanks to Virginie Kompalitch, the charming new owner, who brings the perfect background: an engineer, who has also been, since 2010, a partner in the oh-so-cool Wuhao Curated Shop in Peking – according to Wallpaper*, “one of the 20 terrific reasons to visit China”! There are companies, some of them very well-known, that are in financial difficulties. They are not paying their suppliers, which means it will be difficult for them to fulfil orders – a serious problem if you’ve paid for goods in advance. But they had found the funds for a stand in Milan, so you’d assume that everything is as normal. This demonstrates the danger of specifying something from a company that you don’t know much about (and why our deep knowledge of the industry is so important to you). You are going to hear a lot more about Astep, and not only from me. The Model 2065 above was a Wallpaper* Design Awards 2017 winner, and Candela an Elle Deco International Design Awards 2017 winner. And this is Circus, Resident’s homage to Niamh Barry – circles emitting light out of the side and with no wires, as she was doing ten years ago now! Almost everybody uses mobile phone technology and plugs, with all the attendant disadvantages. The exception was Astep, that had on their stand not one, but two, different forms of charging – one of them truly revolutionary! See Candela on their web site. Finally, one mark of British cultural superiority is our understanding that every single light in a residential property, inside or out, even just 1W, must be dimmable by a central control system that is programmed by a professional before the property is occupied. Amazingly, in other countries, they think that the light levels should be set by the people in the room, to the level they want, at that moment. As a result, there were lots of remote control systems, mostly operated from smartphones. The Flos system even changed the direction spot lights point in. Though many used Casambi, others had developed their own software (meaning that it is incompatible with products from any other brand). From the UK’s perspective, it is a disaster, because none of them will be compatible with the preprogrammed scenes of legacy domotic systems. Whither 1-10V? Whither DALI…? At least all that extra wiring will no longer be needed. Of course, this should not be a surprise: we’ve been reading about the Internet of Things for some time now: Euroluce showed us what this means in action. I plan discrete posts about ballsonsticks®, cones, cordless and mid-century so that you can see more examples. But this is enough trends news for now.